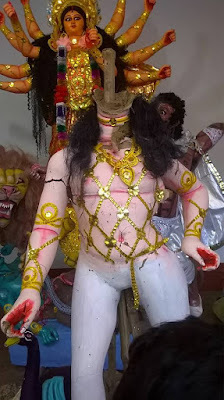 Reports of several incidents regarding desecration of Maa Durga's idol are coming from different areas of the State of West Bengal. In the most cases, when reported, police is apathetic to catch the perpetrators and advising the complainants to disturb communal harmony. Last night, murthis of Ganesha, Laxmi, Sarawati & Kartik were thrashed at Sodepur under Pursura PS in the district of Hooghly. Hindus in that area became very furious and they approached police to nab culprits. Surprisingly, police advised them not to make a issue of it and offered them financial assistance. Villagers strongly refused the offer and organized road-block demanding arrest of the culprits. The blockade was withdrawn later after police assured them of arresting the culprits. 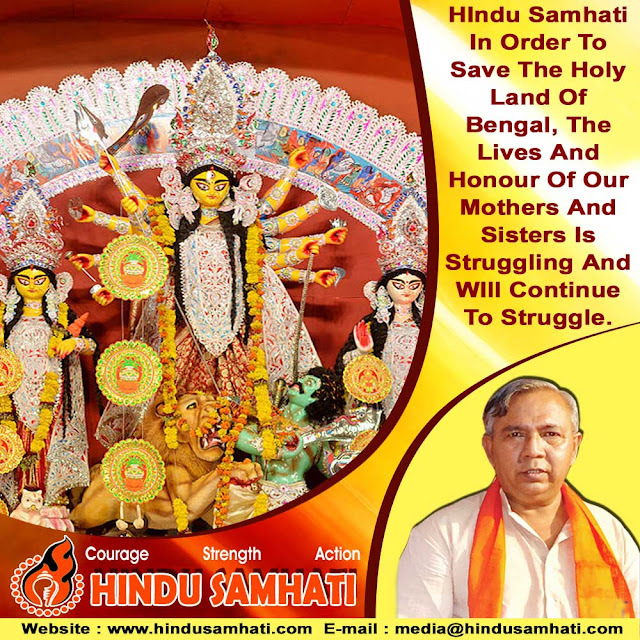 Hindu Samhati Is One Hundred Percent Committed To Struggle For Our Holy Land Of Bengal And The Lives And Honour Of Our Mothers & Sisters. 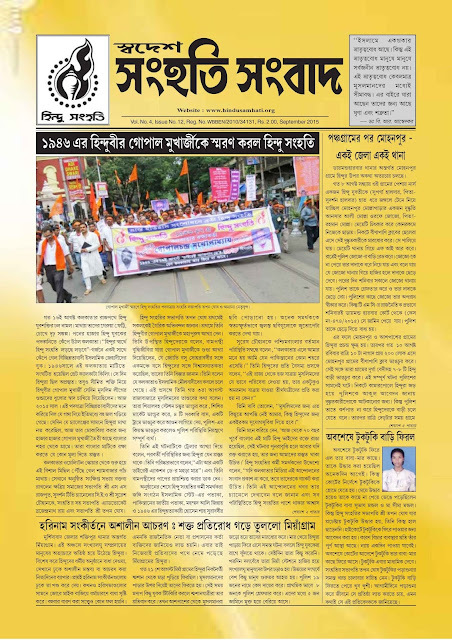 Swadesh Samhati Sambad - Puja Sankhya 2015 - Coming Soon ! 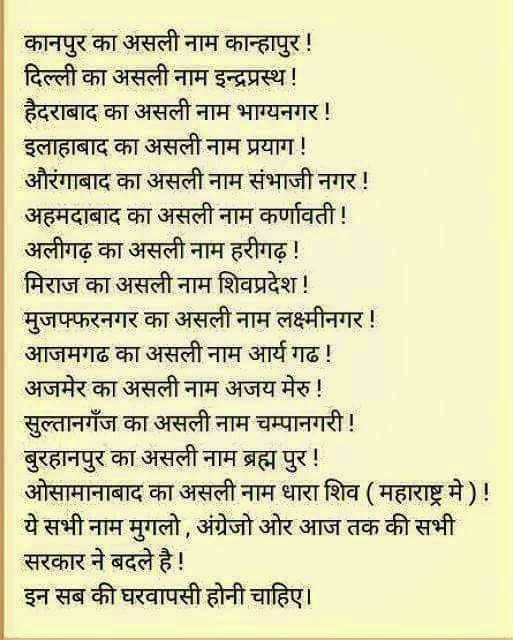 "Saffron Secularism - Who Are The Contributor / s ??? 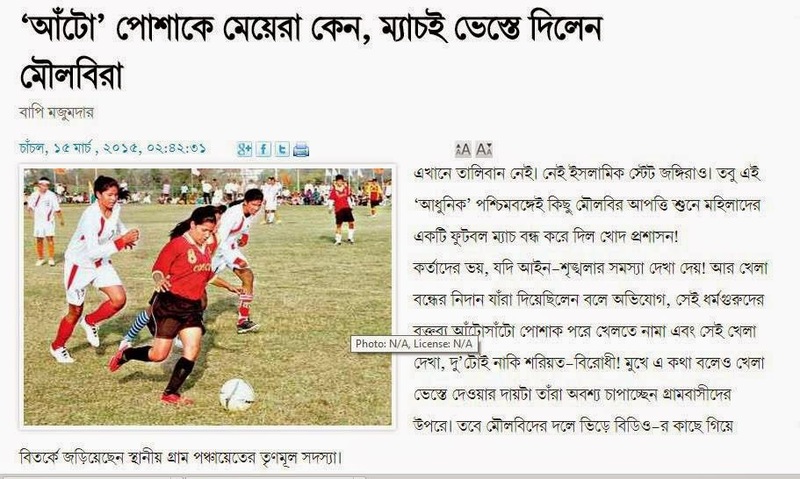 "....by Tapan Ghosh, President, Hindu Samhati . 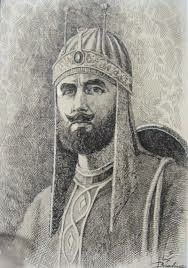 We believe that the Government is liable to treat everybody’s religious sentiments with due respect. 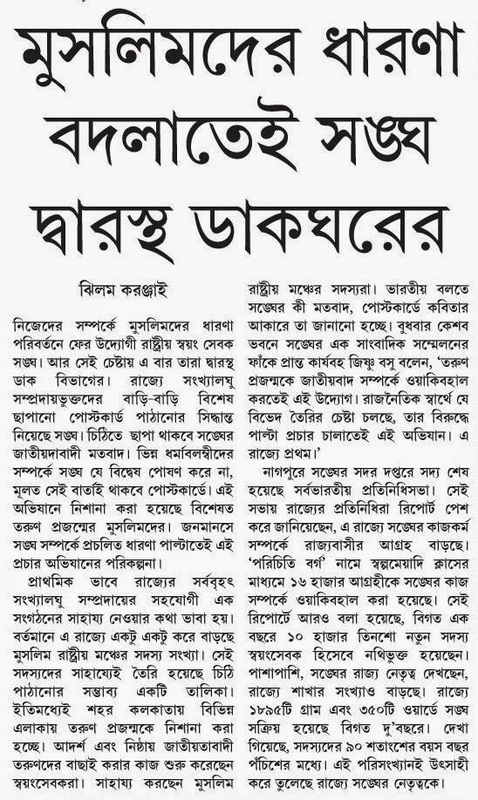 In accordance with this, Hindu Samhati sent a letter to the Hon’ble Chief Minister of West Bengal requesting her to ban slaughter and trade of beef throughout the State. 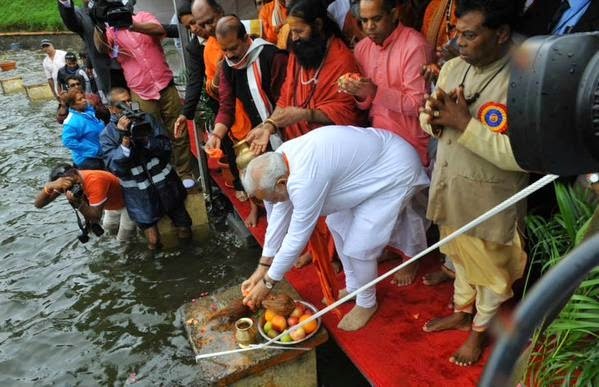 It, further, requested to begin the process during the four days of Durga Puja, i.e. 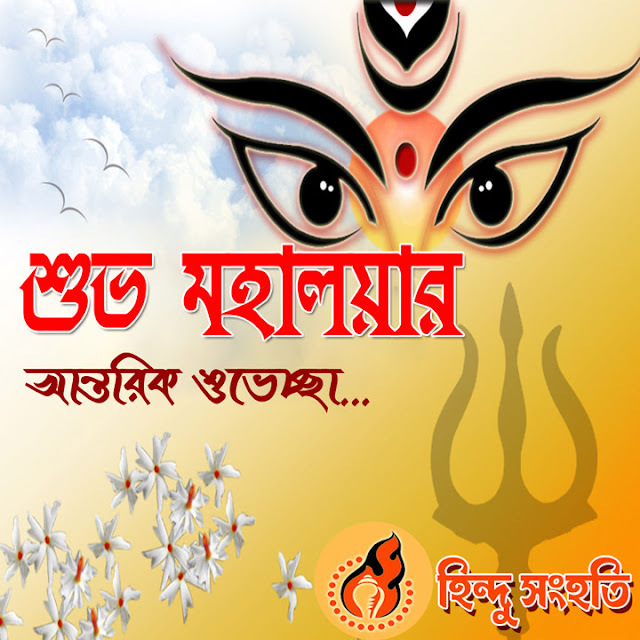 from 19th October to 22nd October, 2015, the greatest festival of Bengali Hindus. We requested the government to strictly conform to the West Bengal Animal Slaughter Control Act 1950 which was ruled by Supreme Court also. In reply to this, however CM has clearly expressed her stand by postponing the immersion of Durga Idols by 2 days because of celebration of Muharram by Muslims. 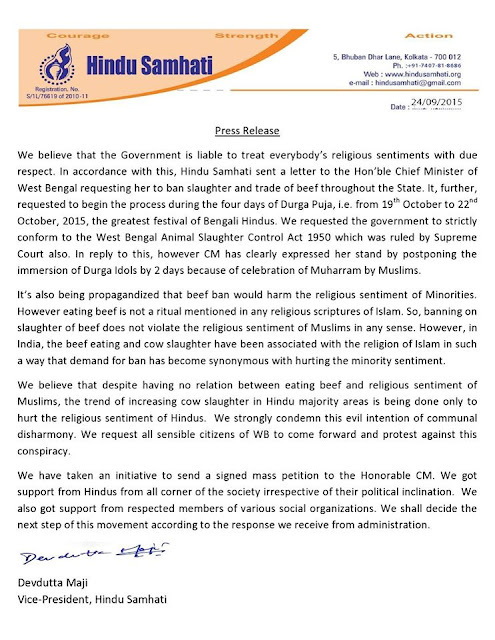 Hindu Samhati's Appeal To Chief Minister Mamata Banerjee On Beef Flesh Ban During Durga Puja 2015 ------- Section of Media Distorts Intent ! Bibekananda Sahitya Kendra - Bankim Chatterji Street. College Square east side, near University Institute Hall. 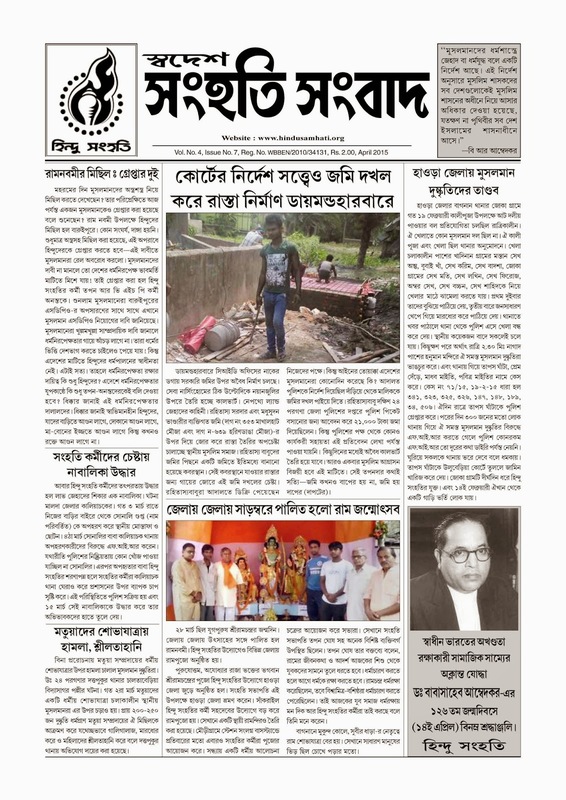 Kolkata, INDIA Please Click On Graphics To Expand and Read or read PDF of link given above !